Saturday was simply a huge day for Michigan football recruiting. Huge. Maybe the biggest and best single day haul ever. EVAR! And then Sunday happened. Two more consensus 4-star recruits to add to the list. That makes 32-stars added to the 2013 recruiting class. Let's start things off with the unveiling of the 2013 recruiting board. Prior to this weekend, there were already 3 members of the next class. But for many reasons not worth mentioning here, I've been slow getting together the board and posting about the incomings. I had plans to group the first four commits of the weekend into one huge post. Then two more were added last night, making my post even more insurmountable. Then two more today. So, we're breaking each incoming post individually. One thing's for sure, Brady Hoke and company are not going to end up in a situation where they're light on stellar offensive linemen. 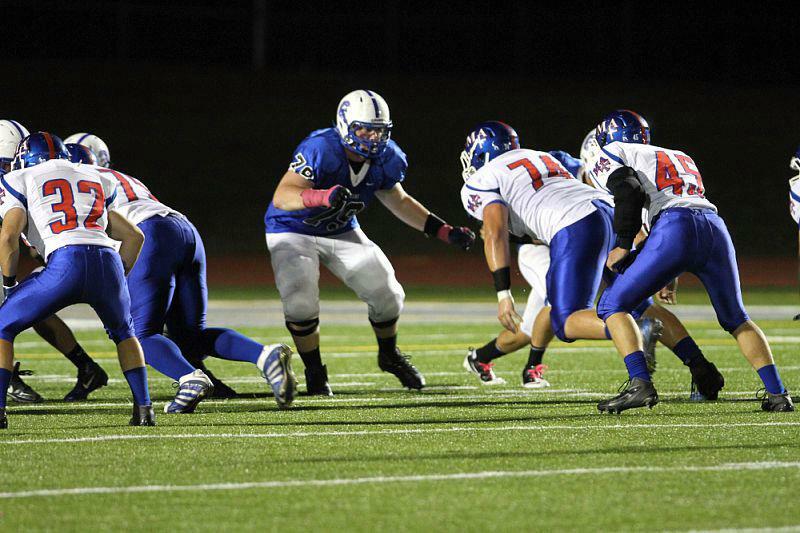 Seems like linemen, tackles especially are plentiful this year and last. Bosch may very well, when this class is signed next February, be one of the standouts from this class. He's got huge potential. Um...well, this is awkward. 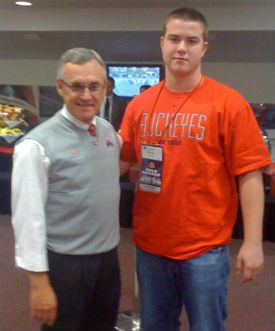 Maybe that's just a Tressel cardboard cutout? And a fake Buckeyes t-shirt? No? No. This is an unfortunate photo. Alabama, Arizona (RichRod), Arizona St, BC, Illinois, Indiana, Iowa, Miami (Fl), Sparty, Minnesota, Mississippi, Missouri, Nebraska, North Carolina, Northwestern, ND, Purdue, Stanford, Tennessee, WVU. And strong interest from Kansas, Ohio State, Oregon, Penn State, Texas A&M and Wisconsin.